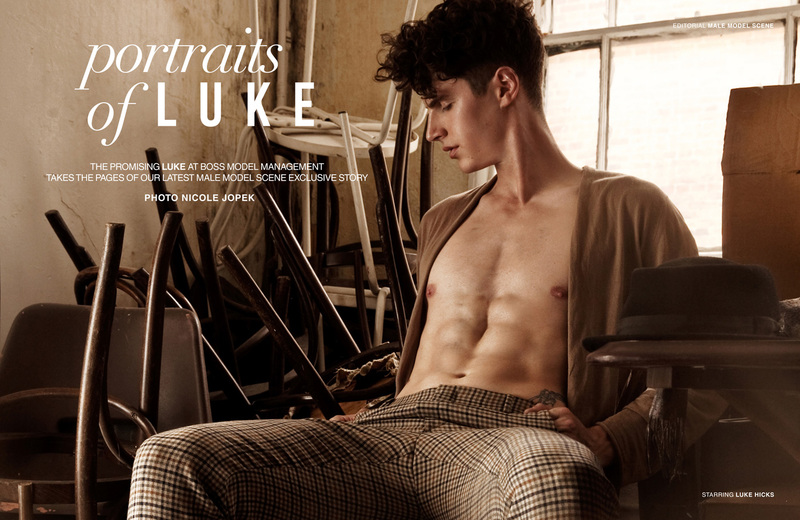 The promising Luke Hicks at Boss Model Management teams up with photographer Nicole Jopek for a beautifully captured exclusive MALE MODEL SCENE portrait session. Hair styling courtesy of Hair Stylist Milosz Pawlak, while makeup was handled by Makeup Artist Laura Maria. For more of Nicole’s work visit www.nicolejopek.com.